I’ve been playing with some fabulous Penny Black products and used Lisa’s Wanna Sketch as inspiration. How easy is it to colour with a matching stamp and stencil, what a fun technique! I have filmed the process so you can watch. Here is Lisa’s sketch, love love love it! 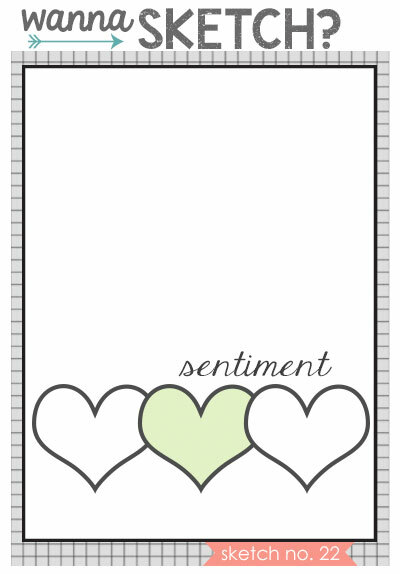 Thanks for stopping by, I’ll be back tomorrow with my last card for Muse (insert sad face here). 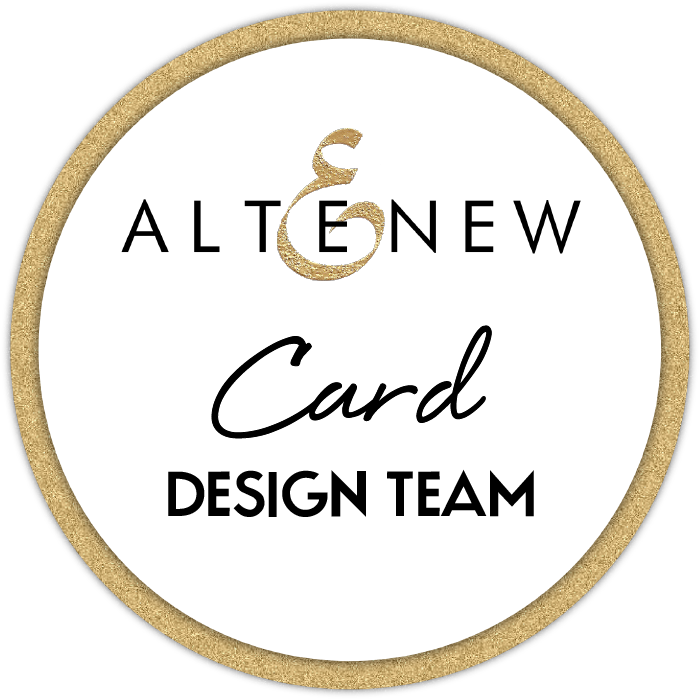 < Previous Merry & Bright at The Alley Way Stamps (video). Next > Miss You at MUSE! Hey Therese!! I love this card. Its so pretty. Those flowers are amazing. You did a fantastic job. Great video!! LOVE that card stock, Therese! Just beautiful. 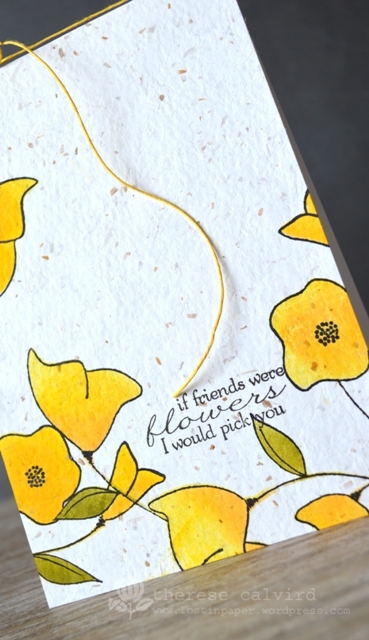 I absolutely love the flow of yellow flowers and that one sweet flower up top is the perfect balance. You are so amazing, I love how you were inspired by wanna sketch. Thank you so much for playing along my sweet girl. I love these yellow flowers, they are so bright and sunny! What a fun way of coloring!! So easy and simple but beautiful! Thanks for showing us how! 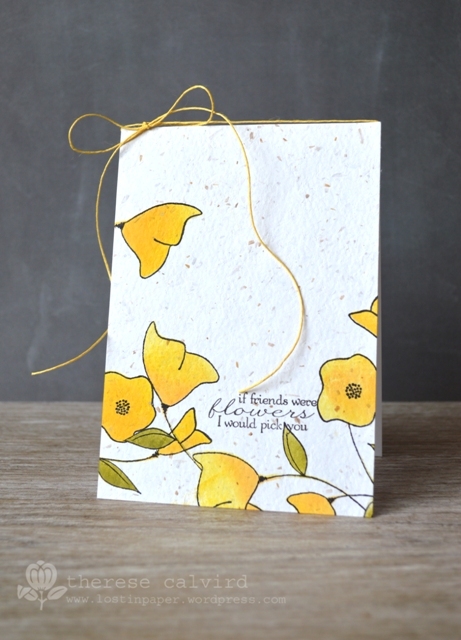 So soft and beautiful – I LOVE the yellow, and that twine is the perfect quiet accent! Wow! This is stunning. Pinned.